I did it! I am a NANOWRIMO WINNER!! 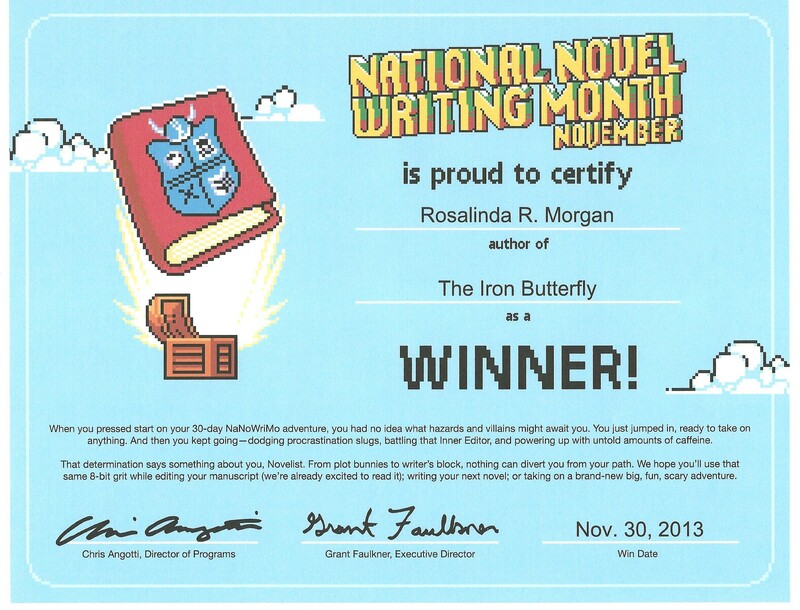 As you can see, I finished the National Novel Writing Month (NANOWRIMO) Challenge for 2013. It was a great feeling. I worked hard every day, thinking about my story and putting it on paper. I worked steadily putting word after word as I brought my heroine’s story to life. I made the required word count of 50,000 on Nov. 28. I finished today with 56,607 words. I’m proud of myself having achieved my goal. I planned to take a break in December and then embark on editing the book comes January. The easy part is over. Now the hard part is the next stage. I’m sure I need more details so the book will be longer than it is now as my first draft. So stay tuned. If all goes well, I hope to publish in 2014. WHAT DO MILKING MAIDS, SWIMMING SWANS, FRENCH HENS HAVE TO DO WITH CHRISTMAS? Hey! I stumbled across this blog post today, and I was so excited! I’ve done NaNoWriMo twice before, and I’ve read your book!!! I absolutely loved it! I even read the sequel. I’m not sure if the third book is out yet, but I’ll be getting to it soon if it is. I just wanted to say I really enjoyed your book, and I’m so happy you wrote it during NaNo, cause I adore NaNo. I’m happy to hear you like my books. I’m working on the third book but got sidetracked. Certainly have to wait a while because I’m working on another book about an upper class family of Long Island Gold Coast, NY in the 20s. Once that is published early next year, I’ll try to finish the third book in the series. Thanks for stopping by.